The Park at Pearl Ridge is a residential complex in the Pearl Harbour district of Oahu Hawaii. The complex consists of 3 residential towers, each 18 levels high. 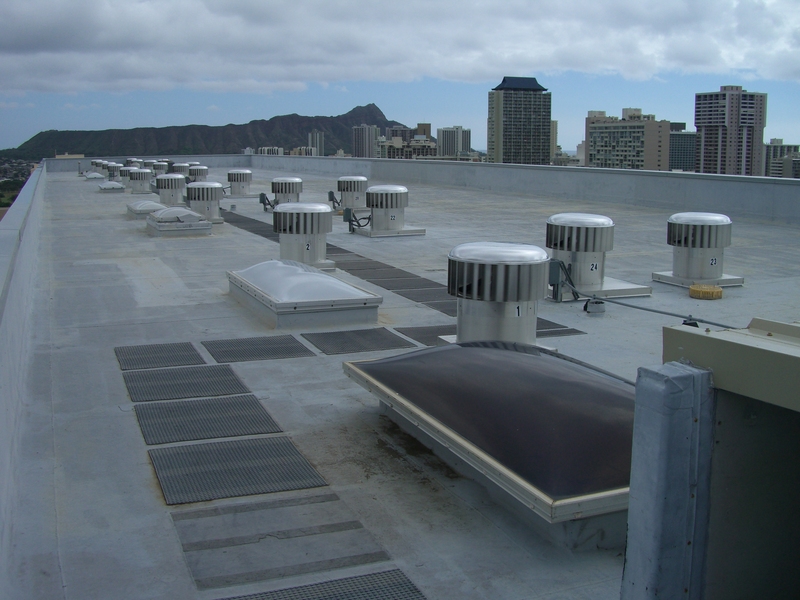 Skylights of Hawaii were asked to consult on the conversion of bathroom shaft mechanical fans to a more economical ventilator on the Mauka Tower. The existing axial fans for the shafts were 3/4 HP, which were high consumers of electricity and noisy. 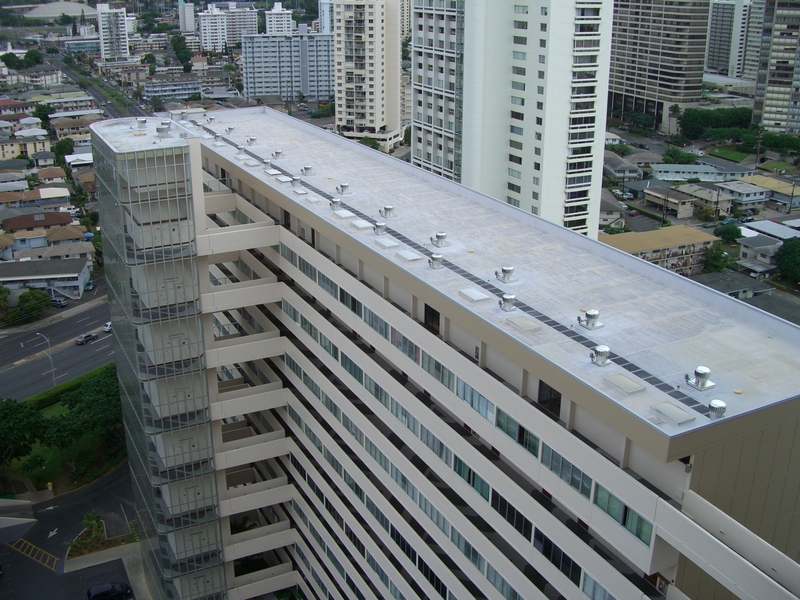 Skylights of Hawaii recommended the use of the ecopower EP600, to provide ventilation to the bathroom shafts of the 18 level building. The Manuka Tower has 8 ventilation shafts in total. The building manager is very pleased with the ecopower EP600. “The tenants are very happy with the new ventilators, there has been no complaints about neighbouring smells” he said. He was also pleased with the lack of noise from the ecopower when compared to the fans they replaced. The energy savings are being compiled, with the first estimates showing the ecopower consuming 20% of the power the existing fans consumed.